Dakara Kies (dakara@dakara.com) has sent you a Jacquie Lawson e-card. If you haven't heard of us, you'll be pleasantly surprised! Our e-cards are known for their artistry and gentle humour. If you'd like to reply to the sender, simply click "Send a Reply" at the bottom of the card. And if you enjoy this e-card, you can learn more about us here. 1. In re Darvocet, Darvon, & Propoxyphene Products Liability Litigation, 756 F.3d 917 (6th Cir. 2014). The Sixth Circuit addressed one of the most significant issues of current prescription medical product liability, innovator liability, under the laws of no fewer than 22 states. The court predicted that none of the 22 states (for some reason there’s not an appendix discussion of Louisiana) would adopt innovator liability. That’s the biggest wipe out of innovator liability since Conte (2008 #-1) was decided back in 2008. Given how dangerous this theory could become if it ever obtained widespread traction, the number of states involved, and the lack of anything adverse in the opinion, we rank Darvocet as this year’s number one best opinion. The unanimous opinion recites all the familiar reasons why it’s not a good idea to shift liability for 80% of the prescription drugs sold today onto the backs of the 20% market share still maintained by innovator manufacturers – who received no economic benefit, and had no control over, the production and sale of generic drugs. We lauded Darvocet here, and discussed it in more depth here . 6. Ortho-McNeil-Janssen Pharmaceutical, Inc. v. State, 432 S.W.3d 563 (Ark. 2014). Another contingent fee-driven state AG action bites the dust, this one having yielded a $1.2 billion verdict. An FDA warning letter does not create a false claim under that (or, we’d like to think any) state’s statute. This one ranks somewhat lower than Caldwell – even though the verdict was larger – because the rationale for overturning the verdict (and the AG’s theory) is somewhat peculiar, based partially on a codification error. However, the court also held that the warning letter at the center of the AG’s claim was inadmissible as evidence because it was hearsay, and its presence was extremely prejudicial, since the state waved it around throughout the trial. We blew that Arkansas Supreme Court a kiss, here. That’s it for our top ten, but the good news just kept coming in 2014. We want to give shoutouts to more favorable decisions that didn’t crack our top ten. YO! Here are our Honorable Mentions: (11) Lashley v. Pfizer, Inc., 750 F.3d 470 (5th Cir. 2014) (discussed here) – The best “one-two punch” case, that is generic preemption and no innovator liability, of the year. What raised it above others was its holding that the “parallel claims” exception to express PMA preemption has no place in implied preemption; (12) Tyree v. Boston Scientific Corp., ___ F. Supp.3d ___, 2014 WL 5431993 (S.D.W. Va. Oct. 23, 2014) (discussed here) – We’ve always hated West Virginia’s unique rejection of the learned intermediary rule. Karl was the worst case in our inaugural list back in 2007. Tyree removed medical devices and drugs not marketed direct-to-consumer from Karl’s scope. Let’s hope those limits stick; (13) Chapman v. Procter & Gamble Distributing, LLC, 766 F.3d 1296 (11th Cir. 2014) (discussed here) – An excellent Daubert opinion excluding expert opinions on both general and specific causation); (14) United States ex rel. Rostholder v. Omnicare, Inc., 745 F.3d 694 (4th Cir. 2014) (discussed here) dynamite FCA case rejecting theories that would make mere FDCA violations (here, of GMPs) into a false claim, without much more; (15) Thompson v. Allergan USA, Inc., 993 F. Supp.2d 1007 (E.D. Mo. 2014) (discussed here) – The goal is to move Bartlett/Mensing preemption beyond generic drugs. Thompson did so, holding a dosage-related consumer fraud claim preempted against an innovator drug because that required prior FDA approval; (16) Mack v. Stryker Corp., 748 F.3d 845 (8th Cir. 2014) (discussed here) − Useful decision on state of the art in a pain-pump case. It considered and flatly rejected an adverse decision from another circuit; (17) Public Citizen v. HHS, ___ F. Supp.3d ___, 2014 WL 4388062 (D.D.C. Sept. 5, 2014) (discussed here) – Plaintiffs can’t use FOIA to obtain reportable event summaries, disclosure log summaries, and descriptions of the content of detailing sessions that a manufacturer was required to fill under a corporate integrity agreement; (18) In re Fosamax (Alendronate Sodium) Products Liability Litigation (No. II), 751 F.3d 150 (3d Cir. 2014) (discussed here) – A complete generic preemption win that was particularly welcome after last year’s bad Pa. intermediate appellate decisions (2013 #-4); (19) Locke v. Ethicon Inc., ___ F. Supp.3d ___, 2014 WL 5819824 (S.D. Tex. Nov. 10, 2014) (discussed here) – Important post-Bauman showing “how to” eliminate non-diverse plaintiffs who can’t obtain personal jurisdiction over “their” defendants while avoiding fraudulent joinder/misjoinder problems; (20) Seavey v. Globus Medical, Inc., 2014 WL 1876957 (D.N.J. March 11, 2014) (discussed here) – This decision combines lots of valuable language about off-label use and promotion, with a great result on causation. This is encouragement A.Siegel to your idea of a response to Kos diaries in this regard. Yes, home energy audits. Excellent suggestion. And then, I want to investigate solar panels on the roof. We have good southern-facing options, and maybe some west-facing surface, too. I haven't been able to read them all, given the holiday obligations that I have, and that is actually one of my complaints: this is not a strategic time of year to put these out there. But that's a much less substantive critique. agreed. great idea, it can never hurt to expand the conversation. Especially now that he's come out as an energy geek! >> Highly recommended series ... and interesting on multiple levels. > The upcoming CA and EU zero net energy building standards. > Lots of things to suggest. Go for it, you energy geek you. > PS: Merry Happy New and Bah Humbug! > You received this message because you are subscribed to the Google Groups "DK GreenRoots" group. > To unsubscribe from this group and stop receiving emails from it, send an email to dk-greenroots+unsubscribe@googlegroups.com. > To post to this group, send email to dk-greenroots@googlegroups.com. > Visit this group at http://groups.google.com/group/dk-greenroots. > Highly recommended series ... and interesting on multiple levels. The upcoming CA and EU zero net energy building standards. Lots of things to suggest. Go for it, you energy geek you. PS: Merry Happy New and Bah Humbug! Highly recommended series ... and interesting on multiple levels. [Drug and Device Law] Another Ediscovery Front? On December 18, the FDA published its proposed rule for replacing the venerable package insert with “electronic” prescribing information. The cite is 70 Fed. Reg. 75506, and a link to it is here. We’re not regulatory lawyers, so we’ll leave any debate over whether this proposed rule is good or bad to the folks at the FDA Law Blog. We’re product liability litigators, so when we hear about “electronic” anything, one thing we think about is ediscovery. Currently, with paper package inserts, when we’re taking discovery, all we have is the prescriber’s say so about whether s/he reviewed the insert, and when. Nor do we have any sure way of knowing exactly what version of drug/device labeling the prescriber reviewed. The date of the visit that produced the prescription, when placed against the history of the relevant labeling provides a pretty good idea, but there’s always a chance that the product sat on a shelf somewhere through a label change or two. The proposed rule would require manufacturers and applicants to distribute electronically prescribing information by submitting the labeling in an electronic format that FDA can process, review, and archive . . . to FDA each time the labeling content is changed. The submitted labeling would be distributed via FDA's labeling repository Web site (labels.fda.gov), which is a publicly available Web site. 79 Fed. Reg. at 75511. The proposed rule is silent about whether the FDA’s website would track “hits” and more specifically their source, but there’s no technical reason that would make such tracking impossible. The FDA’s proposal is likewise silent on how long the Agency could or would preserve tracking information about hits. In the past, the FDA has sometimes preempted civil discovery. See 21 C.F.R. §20.63(f)(2) (preempting civil discovery of identities of persons who file adverse event reports with the Agency). There’s no indication in the current proposal of such preemptive intent. Thus, the FDA should expect to be on the receiving end of a host of third-party ediscovery requests (we doubt the FOIA would apply to requests for such individualized information) for when Dr. X accessed the repository for information about Drug Y. Such requests could come from either the plaintiff or defense side. Another ediscovery front also suggests itself. If the Agency proves obstreperous (or preemptive), then litigants could direct similar ediscovery at the prescribers themselves. Their computer systems may track when Doctor X accessed the FDA repository for information about Drug Y. For once, we’re talking about ediscovery directed to persons other than our clients. Under proposed §201.100(c)(5), the manufacturer or applicant would be required to ensure that the toll-free telephone number is current, fully functioning, and maintained so that there is always an alternate method to obtain the current prescribing information if the requestor cannot access the FDA’s labeling repository Web site. The toll-free telephone number service would be required to be available 24 hours a day, 7 days a week. 79 Fed. Reg. at 75515. Just as with the FDA-run repository, the FDA’s proposal is silent about whether toll-free number operators would be required to keep physician- and drug-specific contact information, and if so for how long. The FDA obviously hasn’t given civil litigation the slightest thought in formulating the current proposal. The words “litigation” and “discovery” (or any variants) do not appear anywhere in the Federal Register announcement. It would probably be a good idea if somebody required it to consider the issue. The comment period for the proposed rule closes on March 18, 2015. We again post the day after a holiday, when stores are flooded with shoppers—this time exchanging gifts purchased last time. We discuss a case involving discussions of “consumer value” and “fair market value.” So, you might think we would go back to that shopping well. No. We have decided to zag. To us, the opinion on class certifications in Saavedra v. Eli Lilly & Co., No. 2:12-cv-9366-SVW (MANx) (C.D. Cal. Dec. 18, 2014), slip op., evokes another seasonal activity, playoff football. Depending on how you count the requirements, plaintiffs in a purported class action need to clear three or four hurdles to get the certification they want. Class certification tends to be a vehicle to settlement, which is what the lawyers who drive class action litigation really want, particularly in the consumer protection context. Tripping over one of the hurdles typically means the journey was a waste. In the NFL, four of the twelve playoff teams each need to win three straight games to hoist the Lombardi Trophy; the other eight each need to win four straight. Teams that lose in the Conference Championship or Super Bowl tend to view the season as a failure, not a success. The teams and players do profit from incomplete playoff runs, but we are not shaken from our view of the parallel here. In consumer protection class actions premised on an alleged misrepresentation about a prescription drug, the plaintiffs should have to allege an objective harm and an objective way to measure it. When they cannot, they should not have a class (or probably even individual claims of the purported class representatives). Saavedra comes out of litigation over the risks of withdrawal from a prescription antidepressant. We have posted previously on summary judgment on warnings claims in personal injury cases with the same product and risk. Here and here. We have even posted previously on an opinion in Saavedra, which we found less than satisfying even though it found that the learned intermediary doctrine does apply to consumer protection claims about a prescription drug. That opinion invited the plaintiffs, after the opportunity to take discovery, to move for class certification. Eighteen months later, we have the denial of the motion for class certification, which hinged on an unusual and overtly subjective theory of injury. The subjectivity meant that plaintiffs could not clear any of the hurdles for class certification, discussed recently in another consumer protection case from a neighboring court. The Saavedra plaintiffs got to the playoffs, surviving summary judgment and conducting extensive discovery, but flamed out. Much like the Bengals of recent vintage. Plaintiffs argue that class members were harmed because they purchased a product that was represented to have a roughly 1% risk of withdrawal side effects but that actually had an approximately 44% risk of withdrawal side effects. Thus, Plaintiffs claim they were injured because the drug as received was worth less than the drug as represented. However, Plaintiffs do not assert that class members were harmed by being overcharged or by being induced to purchase something that they would have not otherwise purchased. Instead, Plaintiffs argue that the harm was in receiving a product that had less value than the value of the product as class members expected to receive it. We do not claim expertise in economic theory, but the court seemed pretty adept in unpacking why this was based on “a subjective concept distinct from the fair market value concept commonly used when calculating benefit-of-the-bargain damages.” The ability to calculate damages for a class is part of one of the hurdles for class certification—that common issues predominate over individual issues. Where the damages for each purported class member hinge on what she thought the drug was worth, regardless of what she paid for it, then calculating damages for on a classwide basis is a hard sell. Still, plaintiffs, through their pharmacoeconomics experts, tried. The expert came up with the broad strokes of a valuation scheme based on using a survey to establish the average value consumers—after the fact and probably not consumers who need the drug—ascribe to the drug with two different rates of withdrawal side effects and then applying a refund ratio to whatever a class member actually paid for the drug. This kind of analysis, if permitted, could probably be manufactured for most drugs ever sold, each time coming up with some number to represent how consumers think a drug with less risks is worth more than a drug with more risks, all things otherwise being equal. It would also alter the causation requirements in consumer protection statutes. The court was not willing to do that, particularly for prescription drugs, where what someone pays has little to do with how they value the drug. Not only is “a consumer’s out-of-pocket costs for a drug  not a proxy for the drug’s value to the consumer,” “a rational consumer would surely pay less than she believes the drug is worth.” For these reasons and various flaws in the expert’s damages model, the court held that plaintiffs “failed to present a method for calculating damages that is tied to their theory of liability.” This ended the chance for a damages class, but the court was not done. Without a feasible method for calculating classwide damages, the proposed class did not present a superior method for adjudicating the issues. Given “the need for individualized proof of causation and damages” and a “fact-intensive individualized inquiry that will likely be required to show damages,” “a class action would be unmanageable.” This consideration outweighed the factors favoring class treatment that hinged on the low damages for each potential plaintiff. We do not know if the drug’s label failed to represent the withdrawal risk, if any doctor would have prescribed less drug with a different label, or if any patient paid more because of what the label said. We do know that a class action for alleged violation of consumer protection statutes should not lie where objective damages cannot be calculated and the inquiry into causation would have to proceed on an individual, subjective basis. We are glad that the right result was reached, even if it took a while. Mostly, we are glad that the playoffs are almost here. 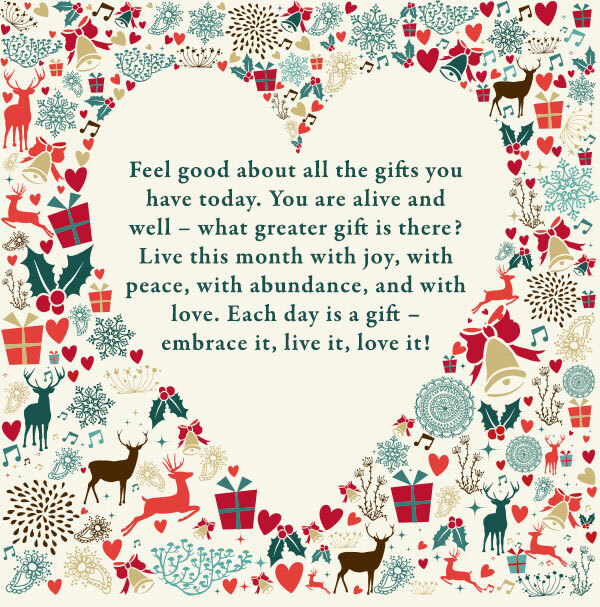 [MMIT Louise Hay says it best ~ Share Yourself with Others – You are the Gift! 2. Lance v. Wyeth, 85 A.3d 434 (Pa. 2014). Poor Wyeth, having the two worst decisions of 2014 inflicted on it. The year wasn’t very old when Pennsylvania Supreme Court decided that it didn’t need strict liability to impose essentially the same thing under negligence. After taking close to three years to decide this fen-phen case, the theory the court settled on was a real stinker. Would you believe negligent design – with no alternative design requirement? In so doing it all but adopted Restatement Third §6(c) in a prescription drug case, which is also unique for a state high court. We don’t know of any other decision, in Pennsylvania or elsewhere in the country, that does away with the alternative design requirement in a negligence case. To add insult to injury, the court had the chutzpah to claim that this unique, novel result was really just an extant, but utterly unrecognized, part of negligence “duty” all along. What really happened was the creation out of whole cloth of “negligence” liability that amounts to a failure to recall claim – that the product was “too harmful to be used by anyone,” and thus should not be marketed, notwithstanding FDA approval. Maybe the theory is limited to already-withdrawn products (footnote 8 suggests that it might), but maybe not. If not, we think that, eventually, the theory will fall to Bartlett (2013 #+1) preemption (Bartlett was decided just before Lance was decided and was not briefed to the court), for prescription medical products (but not others). All this is bad enough, but there’s also disruptive dicta in Lance questioning (musing about, is more like it) the “underpinnings” of the learned intermediary rule. So we’ll be dealing with that, too, for the foreseeable future. Under the rubric “if this is negligence, who needs strict liability,” we (the non-Dechert side) lacerated Lance here.